United States Army Futures Command (AFC) is a United States Army command aimed at modernizing the Army. It focuses on six priorities:[Note 1] long-range precision fires, next-generation combat vehicle, future vertical lift platforms, a mobile & expeditionary Army network, air & missile defense capabilities, and soldier lethality. AFC's cross-functional teams (CFTs) are Futures Command's vehicle for sustainable reform of the acquisition process for the future. Futures Command (AFC) was established in 2018 as a peer of FORSCOM, TRADOC, and Army Materiel Command (AMC), the other Army commands (ACOMs—providing forces, training and doctrine, and materiel respectively). The other Army commands focus on their readiness to "Fight tonight" when called upon by the nation. In contrast, AFC is focused on future readiness for future combat with near-peer competitors who have updated their capabilities, while the United States military has been fighting insurgents since 2001. Full operational capability (FOC) for AFC is projected to be August/September 2019, a one-year period. The FY2020 budget allocated $30 billion for the top six modernization priorities over the next five years. The $30 billion came from $8 billion in cost avoidance and $22 billion in terminations. We're moving out and there's no turning back. We've shown the will to act over the last year, and now we have to show the will to follow through. Futures and Concepts: assess needs and opportunities, given a threat. Concepts for realizable future systems (with readily harvestable content) will flow into TRADOC doctrine, manuals, and training programs. Combat Systems: experiments, demonstrations, and prototypes. Transition to the acquisition, production, and sustainment programs of AMC. Secretary Esper emphasized that the 2018 administrative infrastructure for the Futures and Concepts Center (formerly ARCIC) and CCDC (formerly RDECOM) remains in place at their existing locations. What has changed or will change is the layers of command (operational control, or OPCON) needed to make a decision. You've got to remain open to change, you've got to remain flexible, you've [got] to remain accessible. That is the purpose of this command. Under Secretary McCarthy characterized a Cross-functional team (CFT) as a team of teams, led by a requirements leader, program manager, sustainer, tester. Each CFT must strike a balance for itself amid constraints: the realms of requirements, acquisition, science and technology, test, resourcing, costing, and sustainment. A balance is needed in order for a CFT in order to produce a realizable concept before a competitor achieves it. Modernization reform is the priority for AFC; in order to achieve readiness for the future, de-layering of current Army Commands was implemented by creating Cross-functional teams for materiel and capabilities which the Army must now match for its future: A Capability development integration directorate (CDID), for each CFT,[Note 1] is located at a Center of Excellence (CoE) listed below. For example, the Aviation CoE at Fort Rucker, in coordination with the Aviation program executive office (PEO), also contains the Vertical Lift CFT and the Aviation capability development integration directorate (CDID). The CFTs will be involved in all three of AFC's elements: Futures and concepts, Combat development, and Combat systems. "We were never above probably a total of eight people" — BG Wally Rugen, Aviation CFT. Four of the eight CFT leads have now shifted from dual-hat jobs to full-time status. Each CFT lead is mentored by a 4-star general. Although AFC and the CFTs are a top priority of the Department of the Army, as AFC and the CFTs are expected to unify control of the $30 billion-dollar modernization budget, "The new command will not tolerate a zero-defects mentality. 'But if you fail, we'd like you to fail early and fail cheap,' because progress and success often builds on failure." —Ryan McCarthy:  Holland notes that prototyping applies to the conceptual realm ('harvestable content') as much as prototyping applies to the hardware realm. A 2019 GAO report cautions that lessons learned from the CFT pilot are yet to be applied; Holland notes that this organizational critique applies to prototyping hardware, a different realm than concept refinement ("scientific research is a fundamentally different activity than technology development"). Hypersonics — The US Army (August 2018) has no tested countermeasure for intercepting maneuverable hypersonic weapons platforms, and in this case the problem is being addressed in a joint program of the entire Department of Defense. The Army is participating in a joint program with the Navy and Air Force, to develop a hypersonic glide body. The Long range precision fires (LRPF) CFT is supporting Space and Missile Defense Command's pursuit of hypersonics. Joint programs in hypersonics are informed by Army work, however at the strategic level, the bulk of the hypersonics work remains at the Joint level. Long range precision fires (LRPF) is an Army priority, and also a DoD joint effort. By adding rocket propulsion to a shell or glide body, the joint effort shaved five years off the likely fielding time for hypersonic weapon systems. Multi-Domain Operations (MDO) — Joint planning and operations are also part of the impending DoD emphasis on multi-domain operations. Multi-domain battalions, first stood up in 2019, comprise a single unit for air, land, space, and cyber domains. AFC and A-AI TF will establish an AI test bed for experimentation, training, deployment, and testing of machine learning capabilities and workflows. Funding will be assured for the Fiscal Year 2019. AFC is actively seeking partners outside the gates of a military reservation. "We will come to you. You don't have to come to us. — General Mike Murray, 24 August 2018":minute 6:07 Multiple incubator tech hubs are available in Austin, especially Capital Factory, with offices of DIUx and AFWERX (USAF tech hub). Gen. Murray will stand up an Army Applications Lab[Note 2] there to accelerate acquisition and deployment of materiel to the Soldiers, using AI as one acceleration technique; Murray will hire a Chief Technology Officer for AFC. AFC is seeking to design signature systems in a relevant time frame according to priorities[Note 1] of the Chief of Staff of the Army (CSA). AFC will partner with other organizations such as Defense Innovation Unit Experimental (DIUx) as needed. If a team from industry presents a viable program idea to a CFT, that CFT connects to the Army's requirements developers, Secretary Esper said, and the program prototype is then put on a fast track. For example, the Network cross-functional team (CFT) and the Program Executive Office Command, Control, Communications—Tactical (PEO C3T) hosted a forum on 1 August 2018 for vendors to learn what might function as a testable/deployable in the near future. A few of the hundreds of white papers from the vendors, adjudged to be 'very mature ideas', were passed to the Army's acquisition community, while many others were passed to CERDEC for continuation in the Army's effort to modernize the network for combat. While seeking information, the Army is especially interested in ideas that accelerate an acquisition program, in for example the Future Vertical Lift Requests for Information (RFIs): “provide a detailed description of tailored, alternative or innovative approaches that streamlines the acquisition process to accelerate the program as much as possible”. Futures Command partners with the ASA(ALT), who, in the role of the Army Acquisition Executive (AAE), has milestone decision authority (MDA) at multiple points in a Materiel development decision (MDD). (Thus, from the perspective of AFC, which seeks to modernize, consolidate the relevant expertise into the relevant CFT. The CFT balances the constraints needed to realize a prototype, beginning with realizable requirements, science and technology, test, etc. before entering the acquisition process (typically the Army prototypes on its own, and currently initiates acquisition at Milestone B, in order to have the Acquisition Executive, with the concurrence of the Army Chief of Staff, decide on production as a program of record at Milestone C). Next, refine the prototype to address the factors needed to pass the Milestone decisions A, B, and C which require Milestone decision authority (MDA) in an acquisition process. This consolidation of expertise thus reduces the risks in a Materiel development decision (MDD), for the Army to admit a prototype into a program of record.) The role of the existing processes (in April 2018) for a Materiel development decision (MDD) is to be announced. In order to achieve its mission of achieving overmatch, each Futures Command CFT partners with the acquisition community. This community (the Army acquisition workforce (AAW)) includes an entire Army branch (the Acquisition Corps), U.S. Army Acquisition Support Center (USAASC), Army Contracting Command, (.. This list is incomplete). The Principal Military Deputy to the ASA(ALT) is also deputy commanding general for Combat Systems, Army Futures Command, and leads the PEOs; he has directed each PEO who does not have a CFT to coordinate with, to immediately form one, at least informally. "Our new approach is really to prototype as much as we can to help us identify requirements, so our reach doesn’t exceed our grasp. ... A good example is Future Vertical Lift: The prototyping has been exceptional." —Secretary of the Army Mark Esper. The development process will be cyclic, consisting of prototype, demonstration/testing, and evaluation, in an iterative process designed to unearth unrealistic requirements early, before prematurely including that requirement in a program of record. AFC activities include the Capability development integration directorate (CDID),:Para. 2b and the associated Battle Lab,:Para. 2b of each Center of Excellence (CoE) respectively. Each CDID and associated Battle Lab work with their CFT to develop operational experiments and prototypes to test. In internal partnerships, CCDC (formerly RDECOM) has taken Long range precision fires (LRPF) as its focus in aligning its organizations (the six research, development and engineering centers (RDECs), and the Army Research Laboratory (ARL)); as of September 2018, RDECOM's 'concept of operation' is first to support the LRPF CFT, with ARDEC. AMRDEC is looking to improve the energetics and efficiency of projectiles. TARDEC Ground Vehicle Center is working on high-voltage components for Extended range cannon artillery (ERCA) that save on size and weight. Two dedicated RDECOM people support the LRPF CFT, with reachback support from two dozen more at RDECOM. In January 2019 RDECOM was reflagged as CCDC; General Mike Murray noted that CCDC will have to support more Soldier feedback, and that prototyping and testing will have to begin before a project ever becomes a program of record. Acquisition specialists are being encouraged to accept lateral transfers to the several research, development and engineering centers (RDECs), where their skills are needed: Ground vehicle systems center (formerly TARDEC, at Detroit Arsenal), Aviation and missile center (formerly AMRDEC, at Redstone Arsenal), C5ISR center (formerly CERDEC, at Aberdeen Proving Ground), Soldier center (formerly NSRDEC, Natick, MA), and Armaments center (formerly ARDEC, at Picatinny Arsenal) listed below. The following activities for Futures Command are at 23 locations. Between 1995 and 2009, $32 billion was expended on programs such as the Future Combat System (2003-2009), with no harvestable content by the time of its cancellation. The Army has not fielded a new combat system in decades. Secretary of the Army Mark Esper has remarked that AFC will provide the unity of command and purpose needed to reduce the requirements definition phase from 60 months to 12 months. A simple statement of a problem (rather than a full-blown requirements definition) that the Army is trying to address may suffice for a surprising, usable solution. —General Mike Murray, paraphrasing Trae Stephens:minute 41:50 (One task will be to quantify the lead time for identifying a requirement; the next task would then be to learn how to reduce that lead time.—Gap analysis ):minute 11:00 Process changes are expected. The development process will be cyclic, consisting of prototype, demonstration/testing, and evaluation, in an iterative process designed to unearth unrealistic requirements early, before prematurely including that requirement in a program of record. The ASA(ALT) Bruce Jette has cautioned the acquisition community to 'call-out' unrealistic processes which commit a program to a drawn-out failure, rather than failing early, and seeking another solution. Secretary Esper scrubbed through 800 modernization programs to reprioritize funding for the top 6 modernization priorities, which will consume 80% of the modernization funding, of 18 systems. The Budget Control Act will restrict funds by 2020. The CIO/G6 has targetted Futures Command (Austin) in 2019 as the first pilot for "enterprise IT-as-a-service"-style service contracts; 2 other locations are to be announced for 2019. Six to eight other pilots are envisioned for 2020. However 288 other enterprise network locations remain to be migrated away from the previous "big bang" migration concept from several years ago, as they are vulnerable to near-peer cyber threats. :minute 16:50 The CIO/G6 emphasizes that this enterprise migration is not the tactical network espoused in the top six priorities (a 'mobile & expeditionary Army network'). In the Department of Defense, the materiel supply process was underwritten by the acquisition, logistics, and technology directorate of the Office of the Secretary of Defense (OSD), with a deputy secretary of defense (DSD) to oversee five areas, one of them being acquisition, logistics, and technology (ALT). ALT is overseen by an under secretary of defense (USD). (Each of the echelons at the level of DSD and USD serve at the pleasure of the president, as does the secretary of defense (SECDEF).) The Defense Acquisition University (DAU) trains acquisition professionals for the Army as well. In 2016 when RDECOM reported to AMC (instead of to AFC, as it does as of 2018), AMC instituted Life cycle management command (LCMC) of three of RDECOM's centers for aviation and missiles, electronics, and tanks: AMRDEC, CERDEC, and TARDEC respectively, as well as the three contracting functions for the three centers. This Life Cycle Management (formulated in 2004) was intended to exert the kind of operational control (OPCON) needed just for the sustainment function (AMC's need for Readiness today), rather than for its relevance to modernization for the future, which is the focus of AFC. The CFTs,[Note 1] as prioritized 1 through 6 by the Chief of Staff of the Army (CSA), each have to consider constraints: a balance of requirements, acquisition, science and technology, test, resourcing, costing, and sustainment. The DOTMLPF method of mission planning was instituted to quantify tradeoffs in joint planning. DOTMLPF will be used for modernization of the Army beyond materiel alone, which (as of 2019) is the current focus of the CFTs. The updated modernization strategy, to move from concept to doctrine as well, will be unveiled by summer 2019. DOTMLPF (doctrine, organization, training, materiel, leadership and education, personnel, and facilities) itself is planned as a driver for modernization. The plan is to have an MDO-capable Army by 2028, and an MDO-ready Army by 2035. TRADOC, ASA (ALT), and AFC are tied together in this process, according to Vice Chief McConville. AFC will have to be "a little bit disruptive [but not upsetting to the existing order]" in order to institute reforms within budget in a timely way. The ASA(ALT), or Assistant Secretary of the Army for acquisition, logistics, and technology is currently (2018) Dr. Bruce Jette. The ASA(ALT) is the civilian executive overseeing both the acquisition and the sustainment processes of the Department of the Army. The ASA(ALT) will coordinate the acquisition portion of modernization reform with AFC. Congress has given the Army OTA (Other Transaction Authority),[Note 2] which allows the PEOs to enter into Full Rate Production quicker by permitting the services to control their own programs of record, rather than DoD. This strips out one layer of bureaucracy as of 2018. Besides the AFC Cross-Functional Teams, the Army Requirements Oversight Council (AROC) could also play a part in acquisition reform; as of September 2018 the Deputy Chief of Staff G-8 (DCS G-8), who leads AROC and JROC (Joint Requirements Oversight Council) has aligned with the priorities of AFC. The DCS G-8 is principal military advisor to the ASA (FM&C). In addition, the Program Executive Officers (PEOs) of ASA (ALT) are to maintain a dotted-line relationship[Note 1] (i.e., coordination) with Futures Command. There is now a PEO for Rapid Capabilities, to get rapid turnaround. The Rapid capabilities office (RCO)'s PEO gets two program managers, one for rapid prototyping, and one for rapid acquisition, of a capability. The Rapid capabilities office (RCO) does not develop its own requirements; rather, the RCO gets the requirements from the Cross-functional team (CFT). The current Paladin (M109A6) cannon range is doubling (M109A7). An operational test of components of Long Range Cannon is scheduled for 2020. Long range cannon (LRC) is complementary to Extended range cannon artillery (ERCA). Mobile Protected Firepower (MPF): approved by joint requirements oversight council. Two vendors were selected to build competing prototype light tanks (MPF), with contract award in 2022. Optionally Manned Fighting Vehicle (OMFV): soliciting input, in requirements definition stage; 2 should fit in a C-17. A request for proposal (RFP) for a vehicle prototype was placed March 29, 2019. Under Secretary McCarthy notes that Soldier feedback remains an item for discussion in the Future Vertical Lift CFT. The Future Attack and Reconnaissance Aircraft (FARA) is smaller than FLRRA. Army is making requests for proposals (RFPs). FARA RFPs are due in December 2018. Mobile, Expeditionary Network: In Fiscal Year 2019, the network CFT will leverage Network Integration Evaluation 18.2 for experiments with brigade level scalability. Avoid overspecifying the requirements (in ITN Information Systems Initial Capabilities Document) to meet operational needs, such as interoperability with other networks. :minute 26:40 ITN to have Capability set '21, '23, '25 incrementally. Five Rapid Innovation Fund (RIF) awards have been granted to five vendors via the Network CFT and PEO C3T's request for white papers. That request, for a roll-on/roll-off kit that integrates all functions of mission command on the Army Network, was posted at the National Spectrum Consortium and FedBizOpps, and yielded awards within eight months. [Note 2] Two more awards are forthcoming. The Multi-Domain Operations Task Force (MDO TF) is standing up an experimental Electronic Warfare Platoon to prototype an estimated 1000 EW soldiers needed for the 31 BCTs of the active Army. Maneuver short-range air defense (MSHORAD) with laser cannon prototypes in 2020, fielding in 2021 and 2022 to two battalions per year. Integrated Air and Missile Battle Command System (IBCS) second limited user test is scheduled to take place in the fourth quarter of FY20. AFC faces multiple futures, both as threat and opportunity. The Army's warfighting directive, viz., "to impose the nation's political will on its enemy" —Chief of Staff Milley, is to be ready for multiple near-term futures. Under Secretary McCarthy notes that Gen. Murray functions as the Army's Chief Investments Officer (more precisely, its "chief futures modernization investment officer"). :Section 4[Note 2] Funding for the top six priorities could mean that existing programs might be curtailed. Robotic warfare, as a concept or capability at the Joint Corps echelon, was demonstrated at the operational level using Joint Warfighting assessment (JWA) 18.1 in April 2018. JWA 19 (April-May 2019): I Corps, at JLBM (Joint base Lewis-McChord), is getting modernization training on the robotic complex breaching concept (RCBC), and the command post computing environment (CPCE) from Joint modernization command (JMC) training staff. Assured Positioning, Navigation and Timing A solar-powered drone successfully stayed aloft at Yuma Proving Ground for nearly 26 days, at times descending to 55,000 feet to avoid adverse weather conditions, while remaining well above the altitudes flown by commercial aircraft, and landing per plan in the summer of 2018, to meet other testing commitments. Integrated Air and Missile Battle Command System (IBCS) award, including next software build. $238 million also funds initial prototypes of the command and control system for fielding in FY22. Natick Soldier RDEC has awarded an OTA contract to prototype soldier exoskeletons which augment human leg strength under harsh conditions. The British Army is also investigating innovations, such as robots and drones, including 70 technologies funded by a $1 billion (₤800 million) innovation fund launched in 2016. Two hundred troops will engage in "surveillance, long-range, and precision targeting, enhanced mobility and the re-supply of forces, urban warfare and enhanced situational awareness". Russia jammed the GPS signal during NATO exercises in November 2018. (See: meaconing) General Valery Gerasimov advocates hybrid warfare, a "blend of political, economic and military power to bear against adversaries". China — RAND simulations show Blue losses. On July 13, 2018, U.S. Army Secretary Mark Esper said AFC's headquarters would be based in Austin, Texas. AFC spreads across three locations totalling 75,000 square feet; one of the locations in a University of Texas System building at 210 W. Seventh St. in downtown Austin, on the 15th and 19th floors. The UT Regents will not be charging rent to AFC until December 2019. The command began initial operations on July 1, 2018. On July 16, 2018, Lieutenant General John M. Murray was nominated for a fourth star and appointment as Army Futures Command's first commanding general. His appointment was confirmed August 20, 2018 and he assumed command during the official activation ceremony of AFC on August 24, 2018, in Austin, Texas. The AFC commander, in a hearing before Congress' House Armed Services Committee, projects that materiel will result from the value stream below, within a two-year time frame, from concept to Soldier. The commanding general is assisted by three deputy commanders. 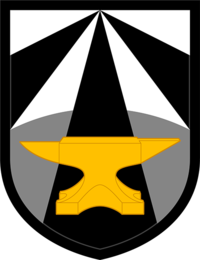 Combat Development element, Army Futures Command. Lt. Gen. James M. Richardson is the deputy commander. He assists the commander with efforts to assess and integrate the future operational environment, emerging threats, and technologies to develop and deliver concepts, requirements, and future force designs to posture the Army for the future. The Capability development integration directorate (CDID) of each Center of Excellence (CoE), works with its CFT[Note 1] and its research, development and engineering center (RDEC) to develop operational experiments and prototypes to test. The Battle Labs and The Research Analysis Center (TRAC) prototype and analyze the concepts to test. JMC is capable of providing live developmental experiments to test those concepts or capabilities, "scalable from company level to corps, amid tough, realistic multi-domain operations". RDECOM becomes the Combat Capabilities Development Command (CCDC), part of the Combat Development element, on 3 February 2019. Combat Systems Directorate will be led by Lt. Gen. Paul Ostrowski (Principal Military Deputy (PMILDEP) to the ASA(ALT)):AD2018-15,6b:PMILDEP will additionally be AFC director, Combat Systems  who will produce those developed solutions and seek feedback. Gen. Robert Abrams has tasked III Corps with providing Soldier feedback for the Next Generation Combat Vehicles CFT, XVIII Corps for the Soldier feedback on the Soldier lethality CFT, the Network CFT, as well as the Synthetic training CFT, and I Corps for the Long Range Precision Fires CFT. Combat Systems refines, engineers, and produces the developed solutions from Combat Development. An analysis by AMSAA can then assess that concept or capability, as a promising system for a materiel development decision. ... what I do think you will see is some of the capabilities the cross-functional teams are working will be in production and being delivered and in the hands of soldiers in the next two years" —Gen. John "Mike" Murray (2018). Army Chief of Staff Milley is looking for AFC to attain full operational capability (FOC) by August 2019. ^ a b Vergun, David A. (13 July 2018). "Austin to be U.S. Army Futures Command location, says Army". Army.mil. Retrieved 17 July 2018. ^ Vergun, David A. (7 December 2017). "US Army Futures Command to reform modernization, says secretary of the Army". Army.mil. Retrieved 5 June 2018. All projects will be executed in no less than two increments. No new requirements once an increment is started. ^ Neil Hollenbeck and Benjamin Jensen (December 6, 2017) Why the Army needs a Futures Command Enable a culture of experimentation, and develop concepts and technology together. ^ a b ASA(ALT) Weapon Systems Handbook 2018 Page 32 lists how this handbook is organized. 440 pages. ^ a b c d JP-1 p.xxi has the definition of operational control (OPCON). Note that "command authority may not be delegated" (COCOM being command authority). p.xxii has the definition of administrative control (ADCON): one application being coordinating authority. see also C. Berry (3 May 2010) Understanding OPCON . (COCOM is the legal authority of a combatant commander (CCDR).) OPCON, on the other hand, "is derived from the authorities of COCOM and delineated in JP-1". Current test targets, such as Zombie Pathfinder are not hypersonic. Rand Corporation (28 September 2017) Hypersonic Missile Nonproliferation estimates there is less than a decade to prevent Hypersonic Missile proliferation. ^ a b David Vergun (29 March 2018) Army network modernization efforts spearheaded by new Cross-Functional Teams. The Army conducts a network demonstration at Fort Bliss, Texas. The Army is pursuing network modernization through Cross-Functional Teams. ^ a b c d Richard Simonetti (23 April 2018) "US Army turns to new technologies"
^ a b Freedberg (31 Jan 2019) Army Completes Biggest Reorg In 45 Years: Can Futures Command End Weapons Disasters? ^ a b Jacqueline M. Hames and Margaret C. Roth (January 14, 2019) Virtual battlefield represents future of training Training as a service; more content at scale needed. ^ Sydney J. Freedberg Jr. (August 27, 2018) Can Army Futures Command Overcome Decades Of Dysfunction? ARL Public Affairs (February 1, 2019) Army engineers get hands-on with futuristic tiltrotor aircraft data gathering in process on one prototype (a tiltrotor). If successful, this technique will mean more efficient helicopter production in larger numbers. ^ Jen Judson (10 October 2018) Can the Army pull off buying two new helicopters back to back? ^ SYDNEY J. FREEDBERG JR. (November 19, 2018) Can Army Afford The Electronic Warfare Force It Wants? ^ Mark Pomerleau (April 11 2018) In the move to multi-domain operations, what gets lost? ^ "Army Futures Command: U.S. Army Secretary Mark Esper announces that Austin has been chosen as the location for the new Army Futures Command". C-SPAN. July 13, 2018. Retrieved July 14, 2018. ^ "Army announces Austin as the home of new Army Futures Command". C-SPAN. July 13, 2018. Retrieved July 17, 2018. ^ "PN2622 — Lt. Gen. John M. Murray — Army". U.S. Congress. 16 July 2018. Retrieved 17 July 2018. ^ McBride, Courtney (24 May 2018). "General selected to lead Army Futures Command". Inside Defense. Retrieved 17 July 2018. ^ As an example, any number of effects can be weaponized (see p.1 The New York Times 2 September 2018 "Invisible strikes may be cause of envoy's ills", describing the Microwave auditory effect), or else countered. Hypersonic vehicles are a countermeasure to ballistic missiles.